Baseball's award season is upon us and we finally have a vote that counts for something this year. 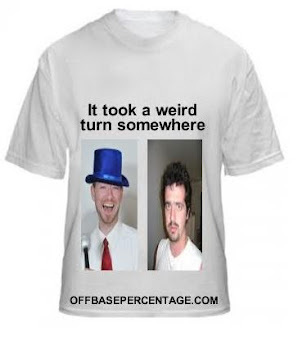 We're proud members of the Baseball Blogger Alliance and they've been kind enough to give us ballots. The only thing the BBWAA ever gave us was a sweet deal on caravan but the wheels fell off. Today we'll be unveiling our NL Walter Johnson ballot for pitcher of the year. Note: I completely ignored wins. Halladay made his move to the National League from the AL East and dominated like everyone thought he would. The workhorse threw 250.2 innings for the Phillies and posted a 2.44/3.01/2.92 (ERA/FIP/xFIP) line or a 6.6 WAR if you prefer. His WAR, 2.93 SIERA and 7.30 K/BB ratio led all NL starters. Plus there was that no-hitter. World dominance, people, world dominance. 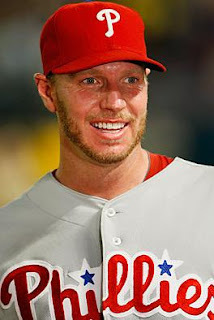 The Cardinals pitcher was tremendous but there is still a pretty good gap between him and Halladay. Wainwright finished the year with a 2.42/2.86/3.14 line and a 3.13 SIERA. His 6.1 WAR was fourth behind my next two balloteers but it's more of a negligible difference plus he tossed that over 230.1 innings. Wainwright was another one of the regrettable pieces traded away by the Braves. He made a shade under $5 million but was worth about $24.6 million and is signed for the cheap next year with some favorable (for the Cardinals) options. Which is good because St. Louis is going to have to hand Albert Pujols the keys to the Arch soon to re-sign him. And yes, I assume the Arch is some kind of spaceship. Jimenez jumped out to a big lead in wins and stats before the All Star Game but came crashing back down to Earth. He finished with a respectable 2.88/3.10/3.73 line and a 6.3 WAR all while battling hitter friendly Coors Field. I also just like saying the name "Ubaldo." Johnson led the NL with a 2.30 ERA and a 2.41 FIP. He did toss fewer innings than anyone else on this list by a pretty healthy margin. Johnson threw 183.2 innings and the next closest in the guy I have fifth with 212.1 innings. But when Johnson was pitching, he was excellent. The 6.3 WAR and 3.07 SIERA were good for second in the League. "The Freak" won't win his third consecutive pitcher of the year award but that doesn't mean he didn't have another great season. Lincecum led the NL in strikeouts with 231 and tossed a 3.43/3.15/3.21 line over 212.1 innings. His 5.1 WAR accurately, according to me, placed him fifth among NL starters.